We are beyond excited to get married in 2018 and even more excited to be able to share the occasion with all of our friends and family. So many of you have been so integral in our lives as well as our relationship together over the past 5 years and we hope you'll join us for this special day. Bear Valley is a newly cherished place to us both, thanks to family friends Hong & Tia, but we know it will be a special place for years to come. We can't wait to spend a weekend with you all as we get married, celebrate and enjoy the beautiful Sierra Nevada mountains as our backdrop. If you're spending the night with us on Friday evening, grab a drink and/or bite and mingle with other guests. Patrick and Angela will join the party after their rehearsal dinner. We look forward to celebrating our special day with you all. The ceremony will be at the top of Bear Valley Mountain and the reception will be held at the Bear Valley Lodge. Transportation details to follow. Dress Code: Cocktail attire - Whatever that means for you! After all is said and done, we'd like to offer our guests a light brunch at the lodge where we can say our final goodbyes. For those looking to stay a little longer, we will be following the meal by relaxing at the pool and soaking up some sunshine. Stay a few extra hours and join us! Fortunately there is one road in & out of Bear Valley, which is via Highway 4. 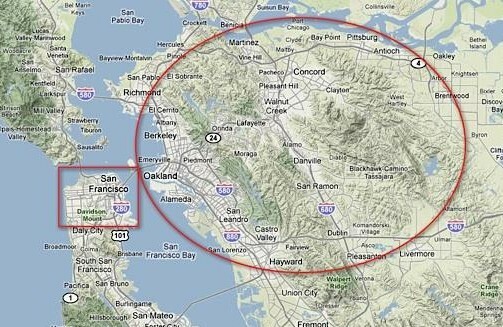 All in all, the drive is about 2.5 - 3 hours depending on Traffic and what part of the bay area you are coming from. Once you get out of the Bay Area it is a beautiful drive up to the mountain. From 880 N, Take 580 E towards Tracy/Stockton (205 E). Merge on to I-5 North and watch for signs for Highway 4 East towards Angels Camp. Keep right to stay on 4 and follow signs for CA-99 S Fresno. Turn left onto CA-4 E/S Golden Gate Ave and you'll be on highway 4 the rest of the way. Take I-5 South towards CA-99S taking the Golden Gate Ave exit and continue straight on Highway 4. From Farmington, you will pass through towns such as Copperopolis, Murphys, Angels Camp, and Arnold before making the climb up to Bear Valley. From Arnold, it's about 20 minutes to the lodge. You will see a large sign on your left for Bear Valley lodge (a large wooden Grizzly Bear). Drive down the lane until you see the lodge. You should be able to park behind the lodge. 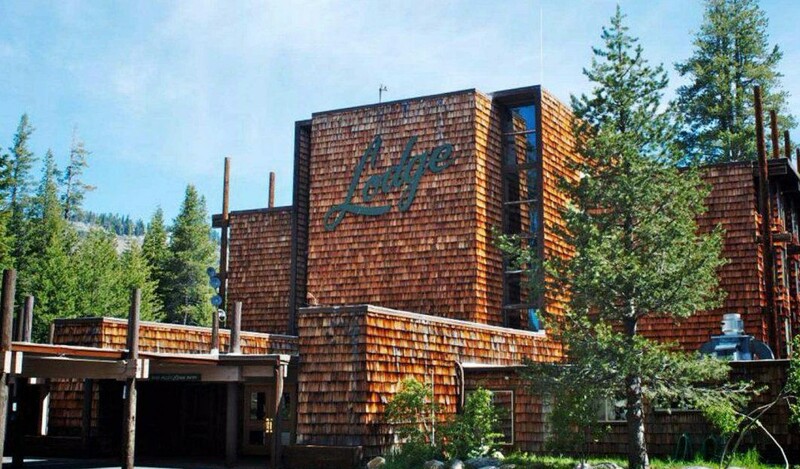 Our wedding reception will be hosted at the Bear Valley Lodge in Bear Valley, CA. We have a room block for discounted rooms and we encourage you to stay there with us! Celebrate with us and then take the elevator up to your room! **note: If you are trying to book more than Friday or Saturday night at the lodge, you may need to call them to book the extra nights. (their website is not the most technologically advanced), call the lodge directly at (209) 753-2327 ex. 100, they'll take care of you! If you would like a little more space or are looking for other rooming options, try contacting Bear Valley Vacation Rentals. There are many small condos and cabins within walking distance of the Bear Valley Lodge where our wedding is taking place. Give them a call at 209-753-2334 or email forfun@bearvalleyvacationrentals.com to book. 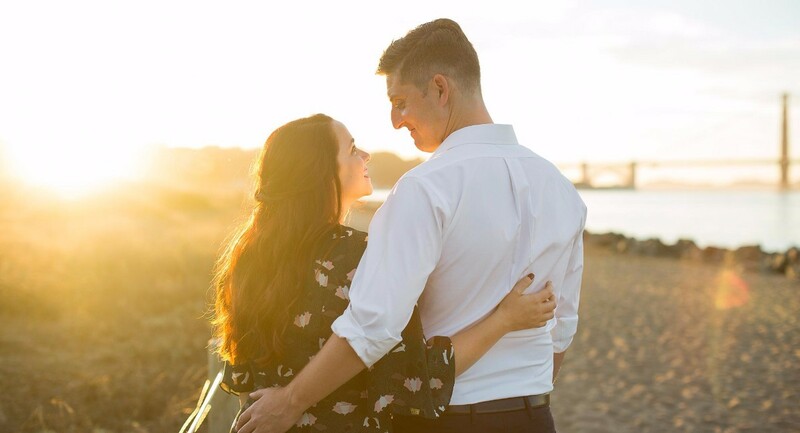 Mention you're booking on behalf of Angela & Patrick's wedding for a discount. If you're having any trouble with your lodging, please contact Angela or Patrick. 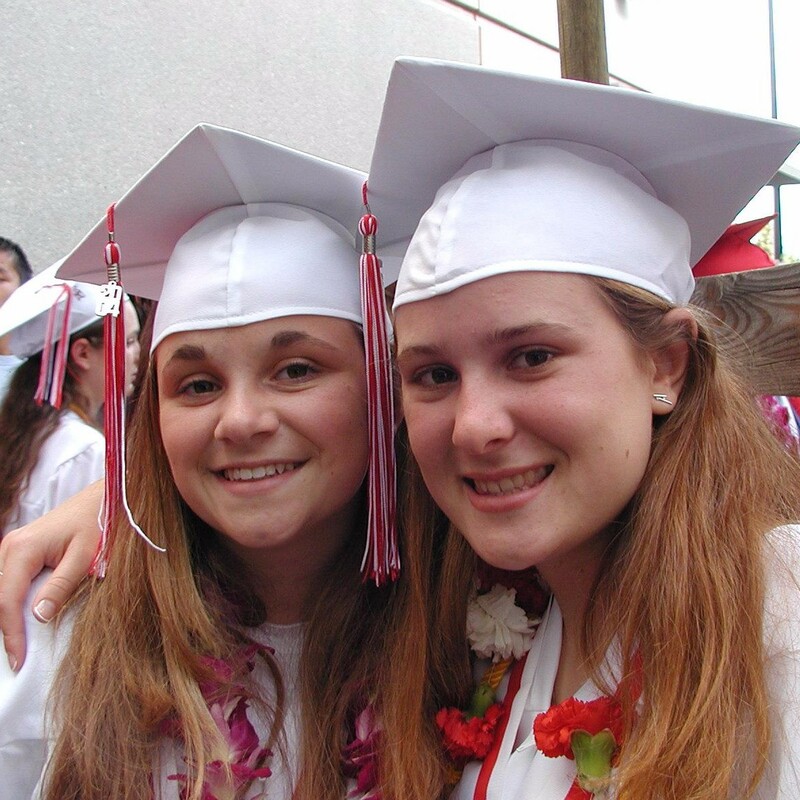 Angela and Rachael met while they were both working at Barnes & Noble in El Cerrito in 2008 and just like their favorite pastime wine and cheese they became the perfect pair. While their work at the bookstore did not linger for much longer, luckily their friendship did. 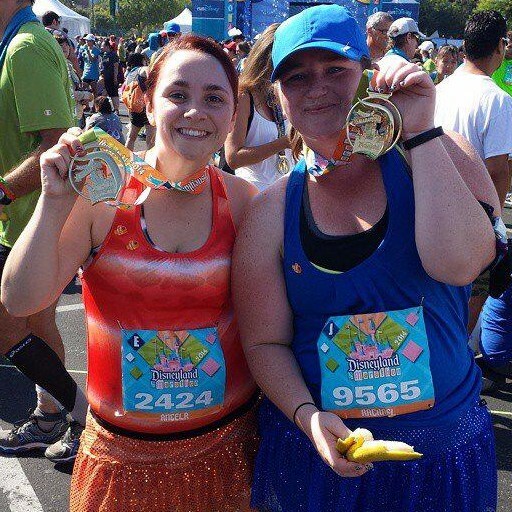 However, they did go through a rough patch when Angela convinced Rachael to run the Disneyland half marathon in 2014 but Rachael paid her back by convincing her to run both the half marathon and the 10k in 2015. Patrick's older brother and best-est pal. 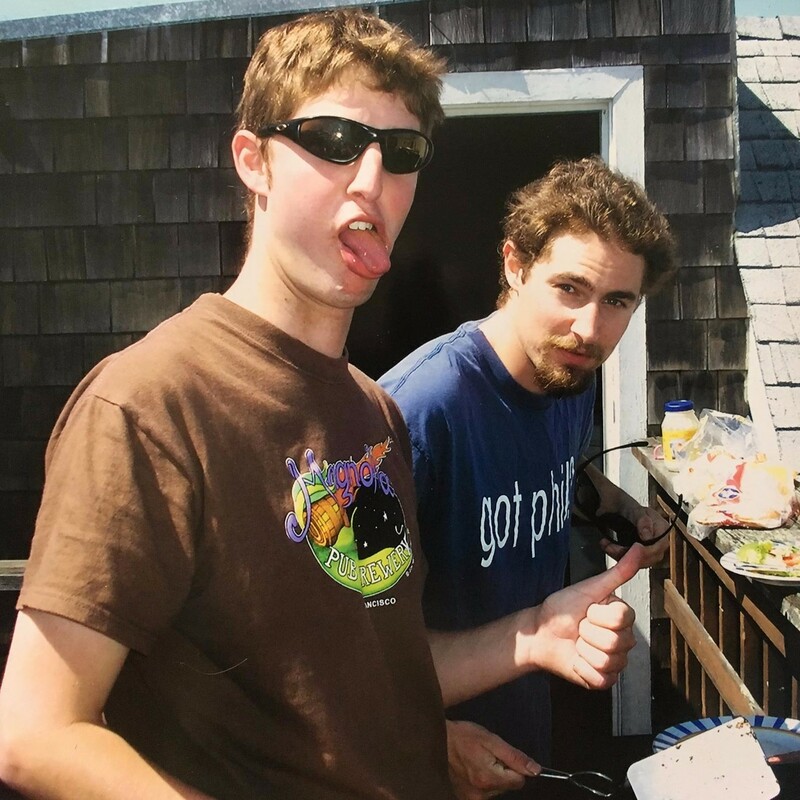 Like a lot of brothers growing up, Phil got to enjoy a few years of tormenting his little brother, but still ended up being a beacon of coolness to his little bro. Not only did they share the same bedroom for 18 years, they also were roommates as adults for 5 years living in the Presidio together. 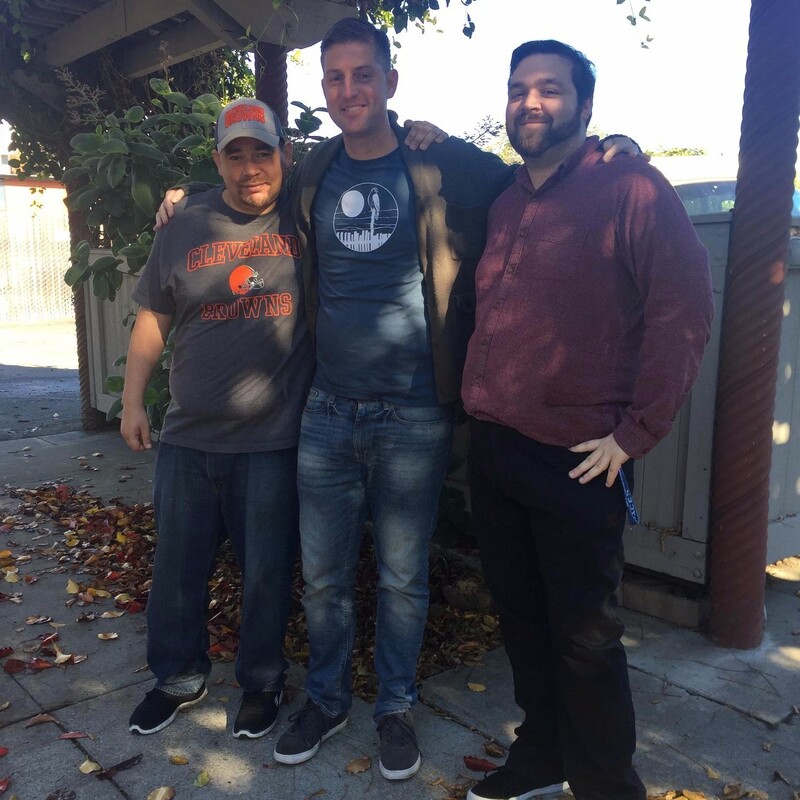 They share a lot together including their love for live music shows, Bay Area sports, and beer; especially if made by Phil himself. Jackie was the second greatest thing to come from Angela's time managing Team Challenge for the Crohn's & Colitis Foundation (sorry Jackie, Patrick had to win first). 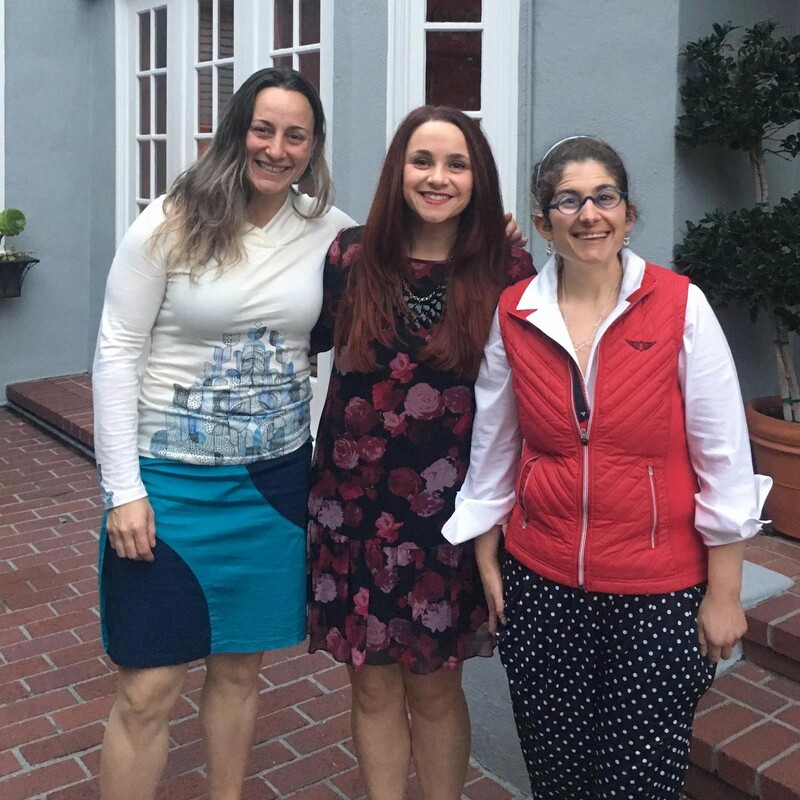 They traveled to Napa, Vegas and Hawaii several times all to help cheer on their teammates who were running half marathons to find a cure for IBD. They've also spent hundreds of hours handing out water on the Iron Horse trail to thirsty runners....and in case you can't read it, our shirts do say, "When doodie calls, we race for a cure!" 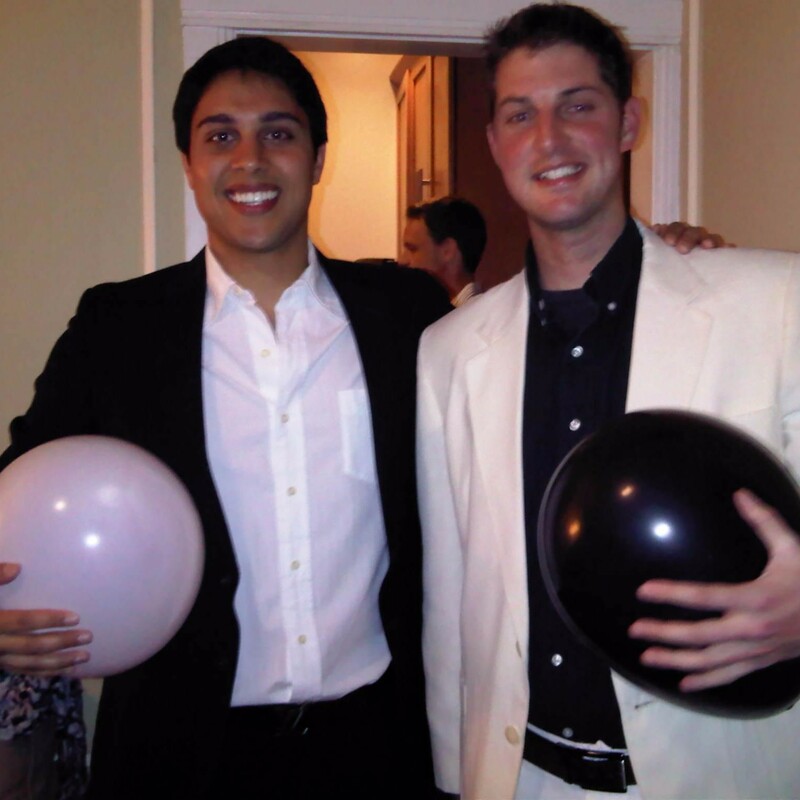 One of Patrick's most trusted friends, Adam and Patrick have known each other since elementary school and have remained friends for the past 25 years. 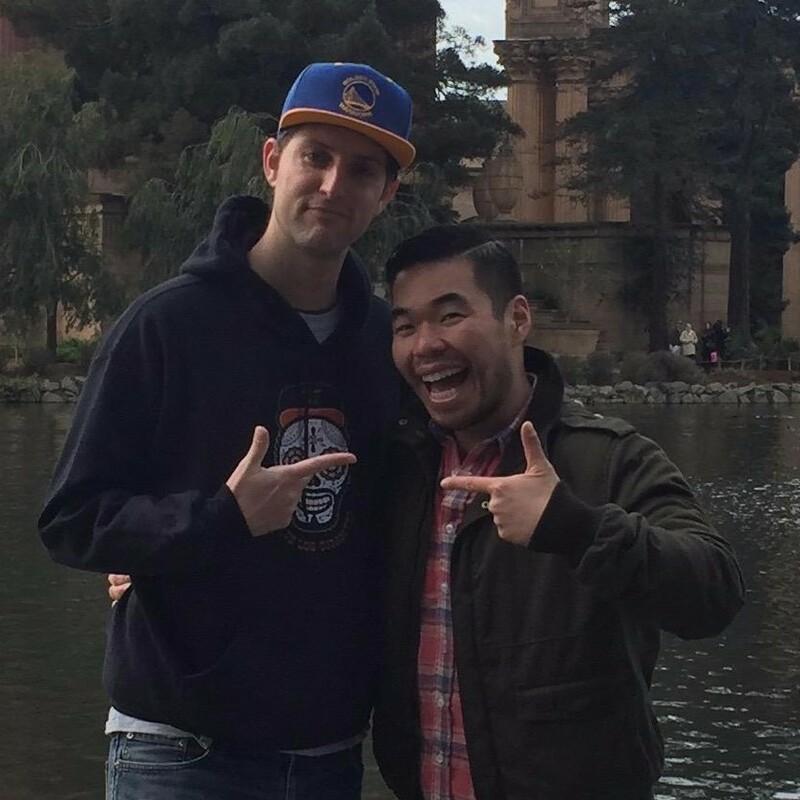 Although Adam is a staunch Cowboys fan and Patrick a 49ers fan, they somehow have made their friendship work over the many years. They both share a dangerous sweet tooth and a knack for getting nostalgic for San Francisco landmarks. 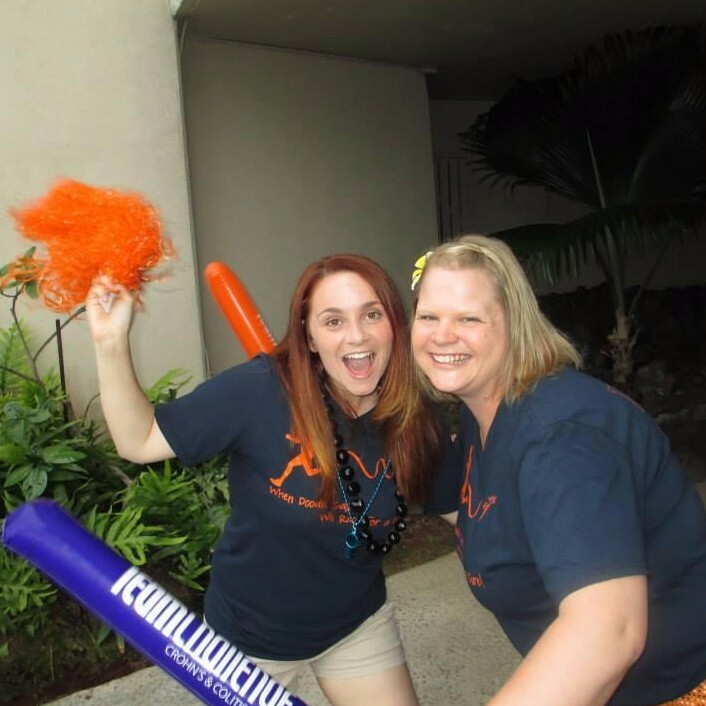 Shannon and Angela first became friends through their Book Club but their friendship was truly built during the 2016 NBA Western Conference Finals cheering on the Warriors against Oklahoma City. Nothing will bring you closer than a nailbiting game like that. Ever since, they've watched many basketball games and now a Championship Parade together. 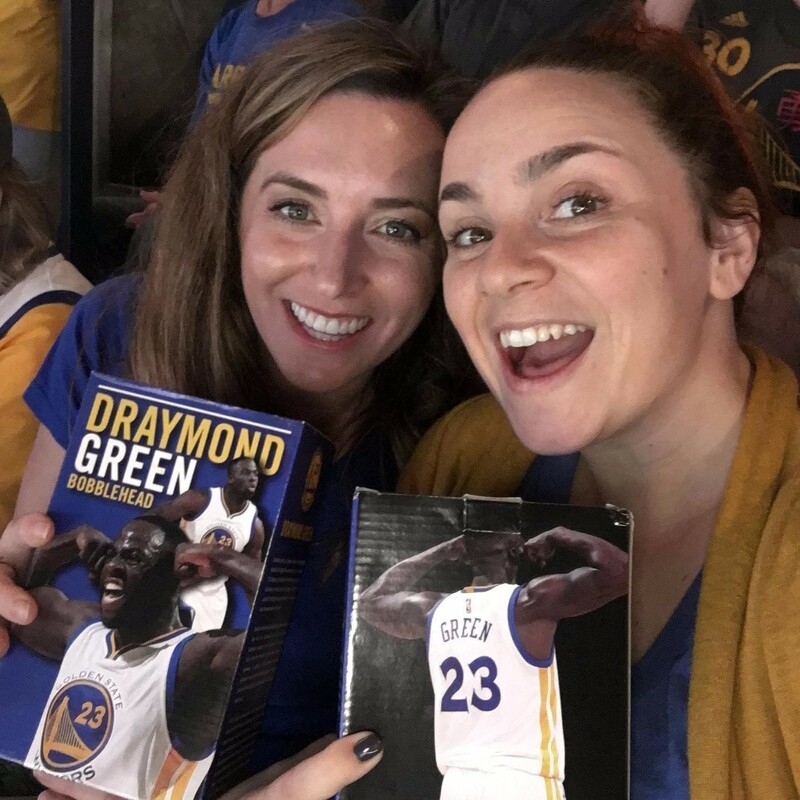 They even went to a pre-season game 3 hours early just to make sure they came home with these coveted Draymond Green Bobbleheads. Scotty and Patrick go all the way back to the days of being pre-school pals at St. Lukes and continuing that friendship through elementary school, high school and beyond for the next 25 years. Needless to say, in those years they got into a lot of trouble together but have always been there for each other wherever they may be. Briana and Angela met in high school and lived out those wild and crazy years with a lot of board games and Pasta-roni in her living room. Over the years they've continued to stay close all the while still enjoing the odd board game night with a side of Pasta-roni. Throughout it all, Briana always knows how to brighted up Angela's day with carepackages and cookies sent in the mail. Who says March Madness isn't a holiday worth celebrating with cookies? Patrick has had the pleasure to meet both of Angela's brothers along with her parents Paul and Judy during their courtship. Since then, Patrick has enjoyed shared interests with both Max and Andy's primarily their love of gaming, watching movies, and even Patrick's old past love of WWF. We will be getting married in Bear Valley, CA at a small lodge in the Sierra Nevadas in a region that got its start from the Gold Rush. Now the area is known for skiing, the local historic towns and great outdoor adventures. We can't wait to share a mini-getaway from the hustle and bustle of the Bay Area with all of our most cherished friends and family in this beautiful area of California. Although there's not too much in the town of Bear Valley, the lodge has a general store, three restaurants, and a gas station. It's approximately a 3 1/2 hour drive east of San Francisco, and there are many unique sights and towns that we encourage you to stop at along the way. Take a look at some of our favorite recommendations below. Note the lodge does have wifi but there have been spotty areas for cell service (namely Patrick's AT&T plan) along the way between Arnold and Bear Valley. Verizon seems to work okay. If you only have time to visit one attraction, this would be it. 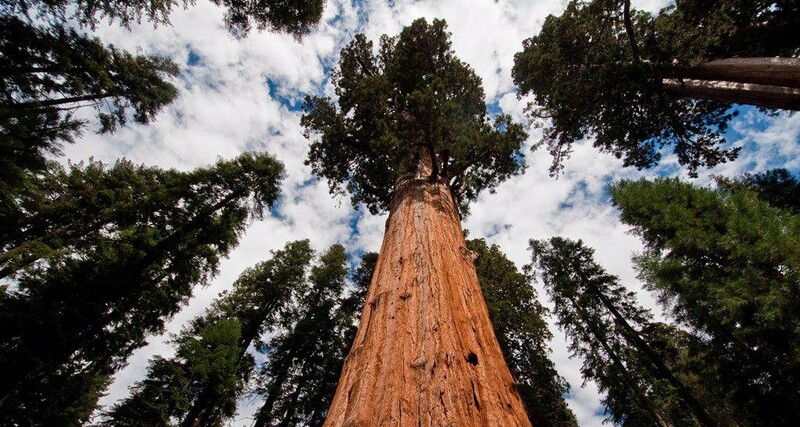 Calaveras Big Trees State Park is where giant sequoia trees were first discovered. Two trail systems allow you up close and personal time with these spectacular trees in the Stanislaus National Forest and you can choose between an easy 1.5 mile easy walk in the North Grove or a longer route between 3.5 and 5 miles in the South Grove. Free guided hikes are offered every Saturday at 1:00pm. Angels Camp was the biggest gold mining settlement in California and walking down the main street feels like you stepped back into 1849. For history buffs, the Angels Camp Museum & Carriage House is a nice snapshot of the Gold Rush with history on the region as well as mining tools and relics from its heyday. Mark Twain lived in the town for a while and based his short story "The Celebrated Jumping Frog of Calaveras County" on a story he claimed he heard at the Angels Hotel in 1865 and it's commemorated with a Jumping Frog Jubilee each May. For more information on places to eat and things to see in Angels Camp, click here. 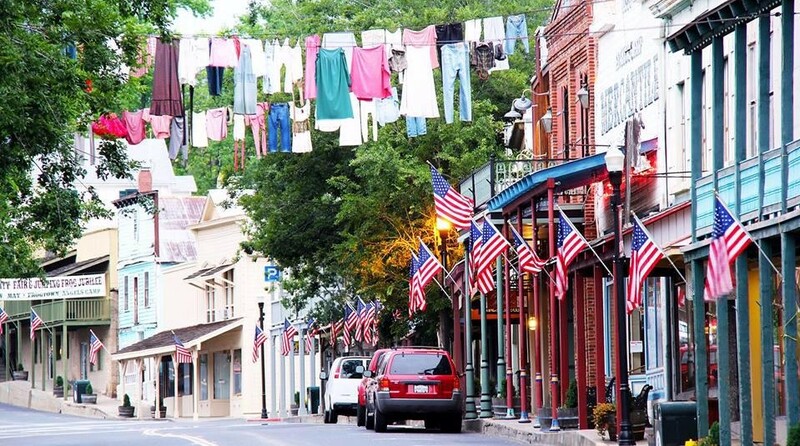 Murphys is another town born from the Gold Rush and its tree-lined streets, wine tasting rooms, boutique shops and fine dining don’t overpower its historic origins. Here, you’ll find plenty of history in the Murphys Hotel and saloon, which has been in continuous operation since the Gold Rush, and in all of the boutiques, galleries, and restaurants housed in these Victorian era buildings. On Saturday mornings, you can even take a free, guided tour of the history of Murphys, courtesy of the Murphys Old Timers Museum. For more information on what there is to do in Murphys, click here. 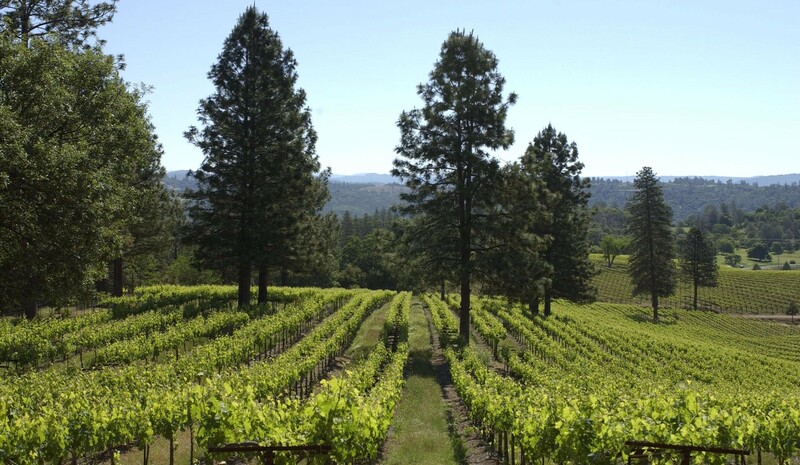 Calaveras County and the surrounding area is home to more than 30 wineries and tasting rooms. The area offers a unique terroir (climate and soil), and as a result, you’ll find some exciting Rhone and Mediterranean varietals to try that are less common in the Napa and Sonoma regions. You can visit tasting rooms up and down Main Street in Murphy's or visit some of the bigger vineyards like Ironstone Vineyards which offers complimentary tours and the worlds largest known Crystalline Gold Leaf specimen weighing in at 44 pounds. For information and a director on local wineries, click here. 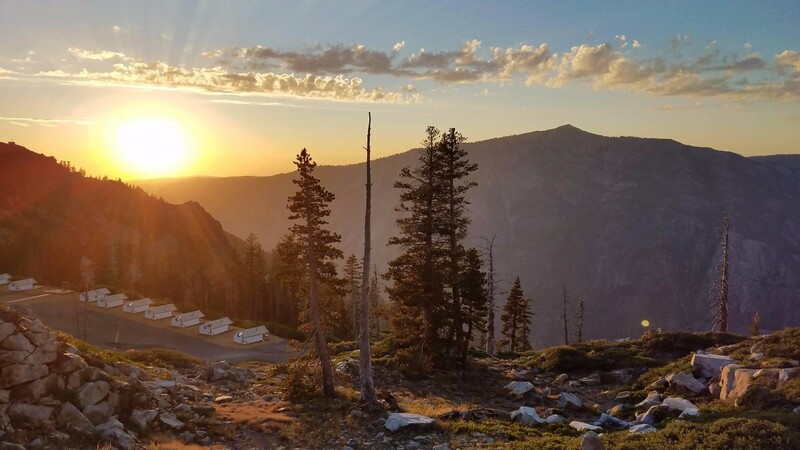 Alpine Lake is just 3 miles away from the Bear Valley Lodge and is a great place for all sorts of summer recreation. There are tons of great places to hike, kayak, swim and just enjoy the beautiful scenery this lake provides. You can also relax by enjoying a local Snowshoe Brewing Co. beer on the deck of the Alpine Lake Resort. For more information on the activities at Lake Alpine, click here. 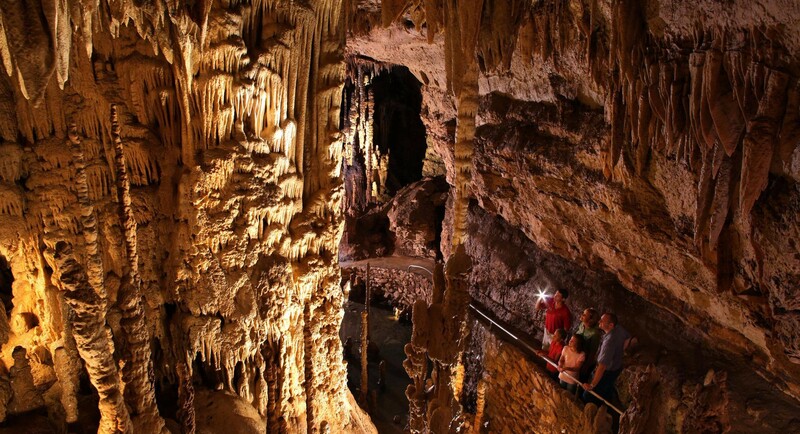 Calaveras has more show-caves than any other county in California, including California Cavern– the first discovered during the Gold Rush, which now offers two amazing wild cave expeditions along with guided walk tours, Mercer Caverns, the longest continuously operated show-cave in the Gold Country, and Moaning Cavern Adventure Park which features the largest cave chamber in California and offers walk tours plus expeditions and above ground zip lines and climbing tower.